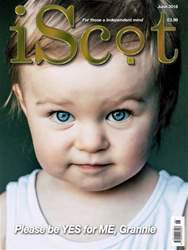 Digital Subscriptions > iScot Magazine > June 2018 > Whisky Galore! ARDNAMURCHAN may be a particularly remote and sparsely populated area of Scotland but the local community deinitely subscribe to the old Scottish adage of ‘if ye want something daein, dae it yersel’! Through their charity, The Ardnamurchan Trust, they aim to directly support their young people in furthering their education and development. Previous projects have seen the Trust provide funding for educational materials for local schools, and direct grant assistance to individuals pursuing apprenticeships and further and higher education.